In 2015, as the Millennium Development Goals (MDG) come to an end, the international community is embarking on a new global framework for sustainable development. The international community, including the OECD and its members, will need to adapt its policy instruments and working methods to successfully achieve the new Sustainable Development Goals (SDGs) by 2030. This report contributes to this process by introducing the concept of Policy Coherence for Sustainable Development (PCSD), along with a proposal for monitoring coherence. 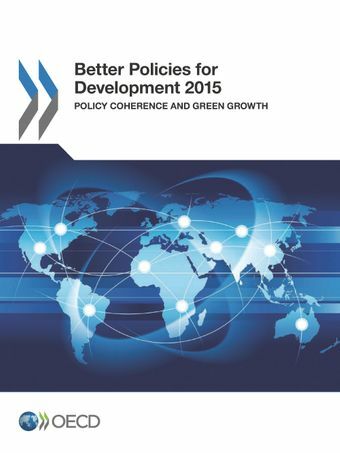 Better Policies for Development 2015 provides an overview of the core actions involved in aligning separate – and sometimes opposing – policy objectives, as well as managing potential trade-offs and synergies between them. In particular, it applies a policy coherence lens to green growth, as one of the priority areas for policy coherence identified in the OECD Strategy on Development. The report includes numerous contributions from intellectuals, member states and civil society. How are countries adapting to the new development agenda?